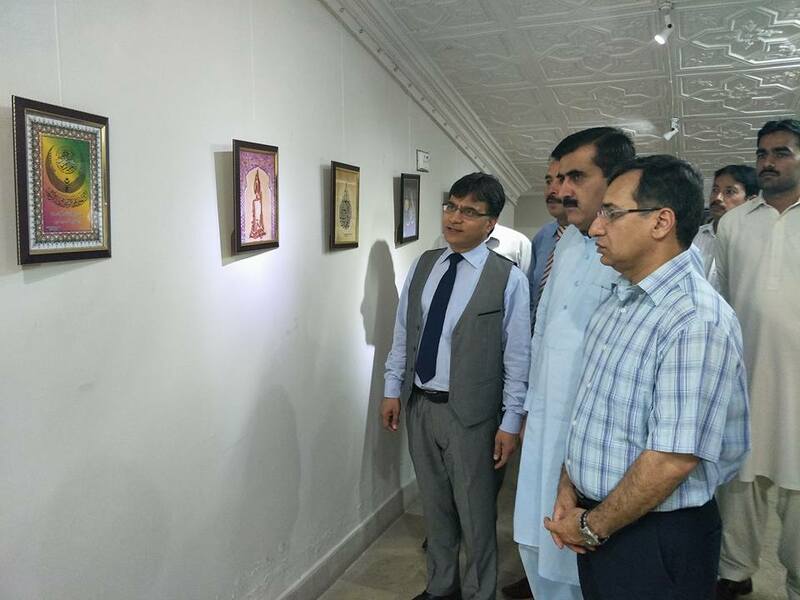 In connection with welcoming the holy month of Ramadan, an Exhibition on Islamic Art and Calligraphy by the students of COMSATS University Sahiwal has been arranged in Sahiwal Arts Council by COMSATS University, Sahiwal Campus in collaboration with Sahiwal Arts Council. 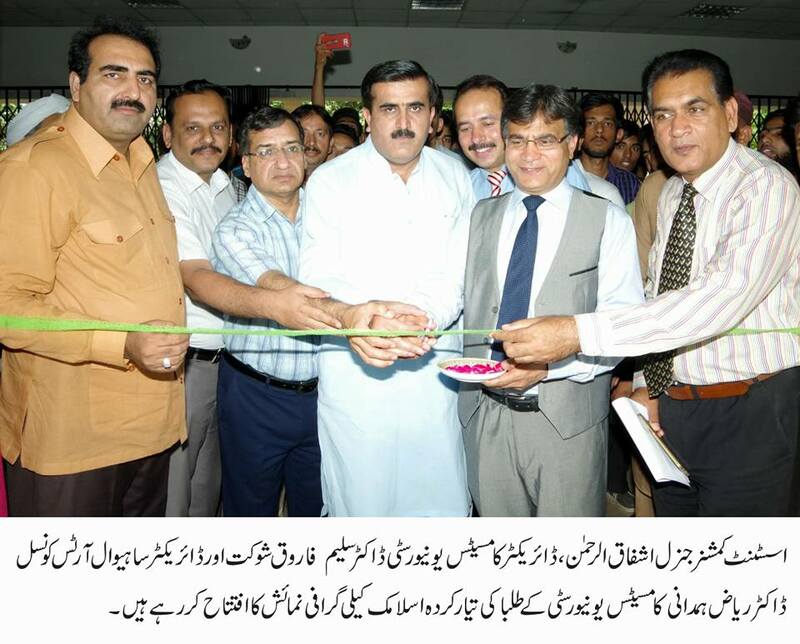 The said exhibition was inaugurated by Prof. Dr. Saleem Farooq Shaukat, Worthy Director COMSATS University, Sahiwal, Mr. Ashfaq Ur Rehman, AC(G), and Mr. Aqeel Ashfaq, Director Public Relations, Sahiwal. 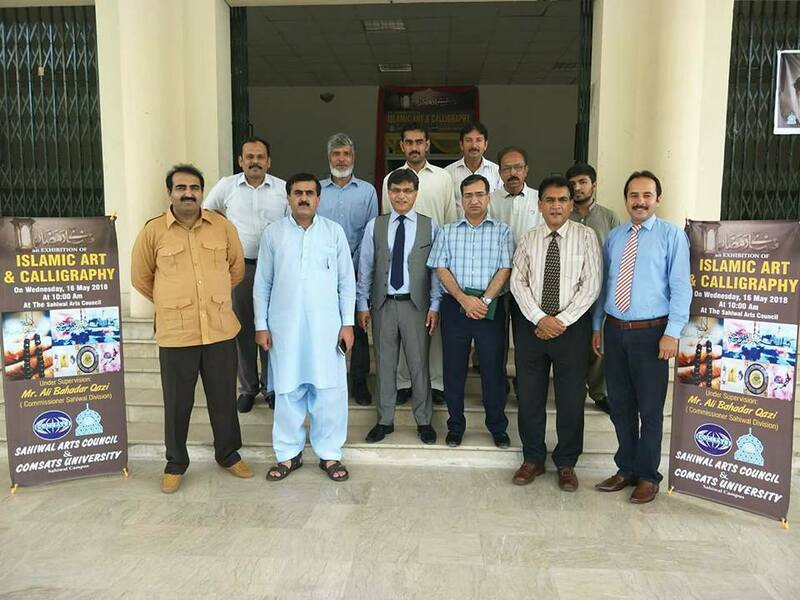 Prof. Dr. Shahid A. Rajput, HoD, Heritage Studies, Dr. Riaz Hussain Hamdani, Director Arts Council, Mr. Safdar Ali, Deputy Registrar, COMSATS University, Mr. Ibrar Nawaz, Manager KIPS Sahiwal and other dignitaries of Sahiwal city were also among them. Top three students (Mr. Usama Sarwar, Ms. Maryam Zia and Mr. Zohaib Iqbal) were given souvenirs for their excellent art work. 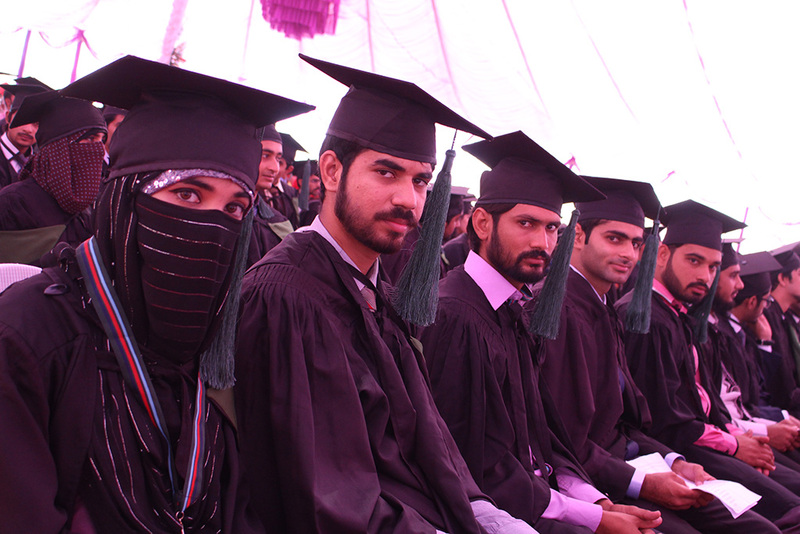 The event was covered by electronic and print media. The said exhibition would continue till June 01, 2018.